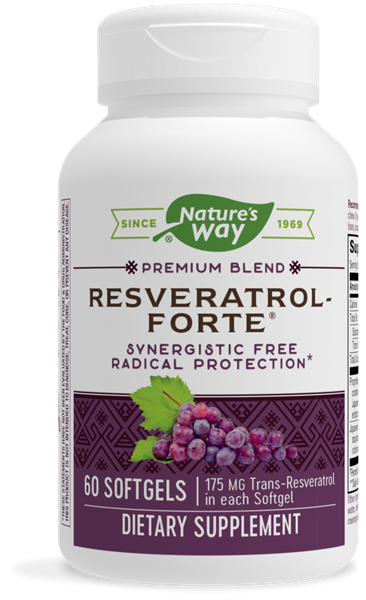 Resveratrol-Forte® High Potency / 60 softgels - Nature's Way®. Take 1 softgel daily. If pregnant, nursing, or taking any medications, consult a healthcare professional before use. ‡Based on 175 mg trans-resveratrol dose, an average of 1.97 mg of transresveratrol per liter of red wine, and 750 mL bottle size.